My brother, Randy, got me started in SCUBA. One year at Christmas, he offered to teach me how to dive, so when the water warmed up, I took him up on it. As with most things I do, I wanted to learn as much as possible about it, and enjoy it to its fullest. 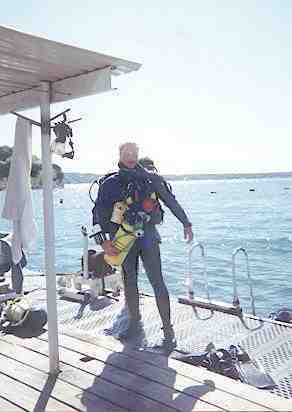 I've been fortunate to find the right people and get trained in several of the technical aspects of SCUBA.